Epimediums are hardly commonplace plants in the United States, but they should be. As more and more new species and varieties are being discovered in Asia, a few of us nurserymen are doing what we can to make this genus more of a presence in American gardens. I recently returned from China, where I spent a month exploring hillsides in search of epimediums. Although often mistaken for orchids because of their flowers, epimediums are members of the barberry family (Berberidaceae). 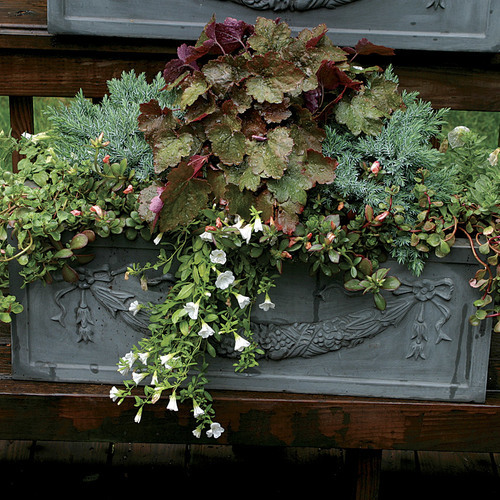 These spring-blooming perennials combine well with ferns, hostas, lungwort (Pulmonaria spp. and cvs. 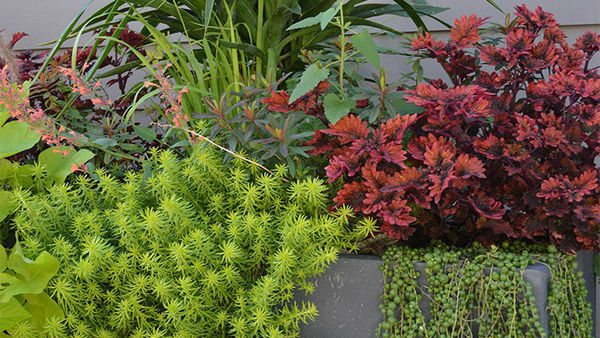 ), hardy gingers, and other shadegarden plants. Depending on the species, the number of flowers produced per plant can vary from just a few to literally hundreds covering a single stem. Flower color runs the gamut from white, pink, rose, and purple to yellow, orange, and red. 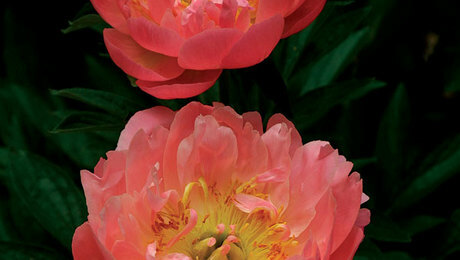 And the flowers can be solid, bicolored, or a combination of several colors. Individual flowers last for three days, then shatter, to be replaced by new flowers along the stem. 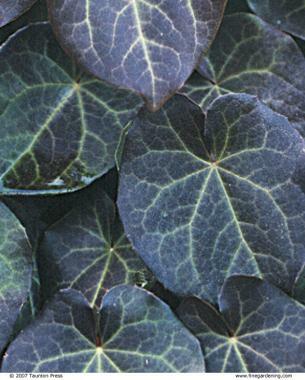 Epimedium foliage can be deciduous, semi-evergreen, or truly evergreen, depending on the species or hybrid and the climate in which it is grown. The leaves are made up of leaflets, which can range in number from 3 to 50 and in size from as tiny as a sparrow’s egg to 6 inches long. They are generally heart-shaped, but can range from round to arrow-shaped. Epimediums vary in habit from clumping types, which reach 6 inches across after three years, to spreaders, which travel by rhizomes up to 12 inches in one year and form dense mats of impenetrable foliage. 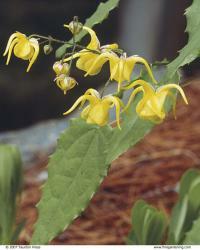 Before I attempt to grow an epimedium I’m unfamiliar with, I try to learn what I can about its native habitat. Of the 30 or so species of epimedium I have observed in the wild, most seem to thrive in rich, organic loam on gentleto- steep northeast- or northwest-facing slopes, in dappled shade. But I have also seen epimediums growing well in gravel and clay soils, in moist and dry sites, in the cracks of wet limestone cliffs in almost full sun, and in the deep shade of a Cryptomeria forest in highly organic soil. 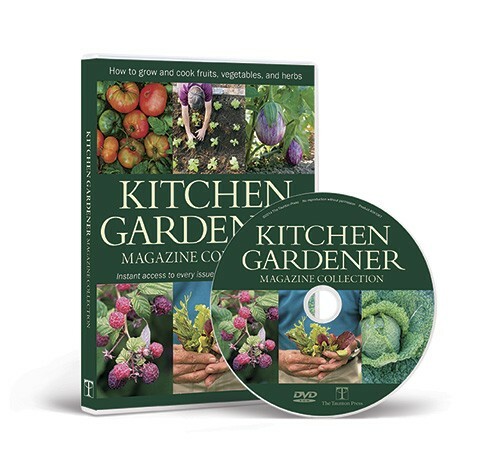 When growing in deep shade, either in the wild or in the garden, plants are generally taller, have larger leaflets, and are slower to form large clumps than are those in dappled shade. They also have fewer flower stems per plant. In my garden in Massachusetts, epimediums that get four to five hours of direct sun are shorter, much more floriferous, and produce smaller leaflets. However, plants sited in direct sun require adequate moisture in the heat of summer, or the leaves may burn. In southern gardens, epimediums are best kept in the shade. One of the best traits of epimediums is that they are relatively free of pests and problems. They are, however, susceptible to several foliar viruses that are usually transferred by unclean dividing practices. 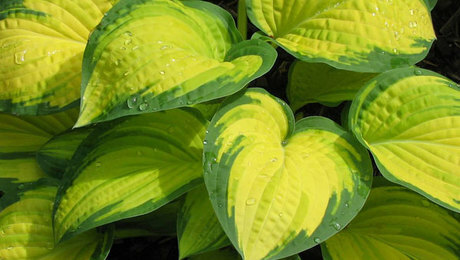 Plants with mosaic patterns of yellow or cream on the leaves are probably infected and should be discarded. 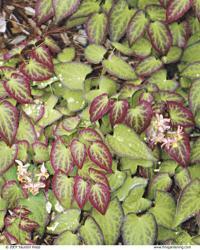 Unlike many perennials, epimediums can last for decades with minimal care. 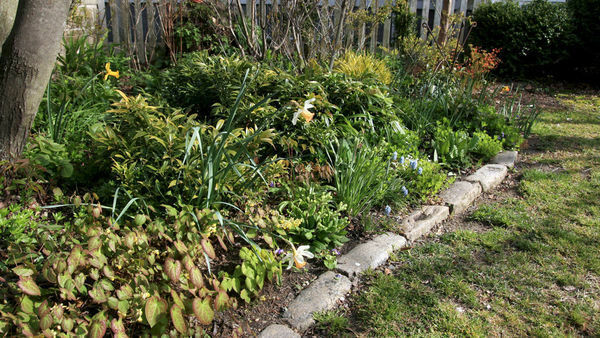 The one thing I may do is cut back the previous year’s foliage in early spring before the new growth emerges. But, if last year’s evergreen leaves are still attractive, they can be left, and the new leaves will rise above the old stems. A light dressing of an organic or slow release fertilizer low in nitrogen followed by a top dressing of organic matter each spring is about all they need. Epimediums are self-sterile (they won’t set seed unless pollinated by another plant), and breeding from seed is complicated. The plants cannot be rapidly propagated through tissue culture or stem cuttings, either. Division of a rhizome is the most effective method of propagation. On clumping varieties, however, this process is very slow, so these types of epimediums command higher prices. Deciduous species can be divided in either spring or fall, while evergreen species perform better when divided from late August into September. In the rush to cash in on the increasing interest in epimediums, some nurseries have resorted to buying wholesale quantities of plants from disreputable sources. They often end up with inferior plants that are incorrectly named or plagued by viruses. 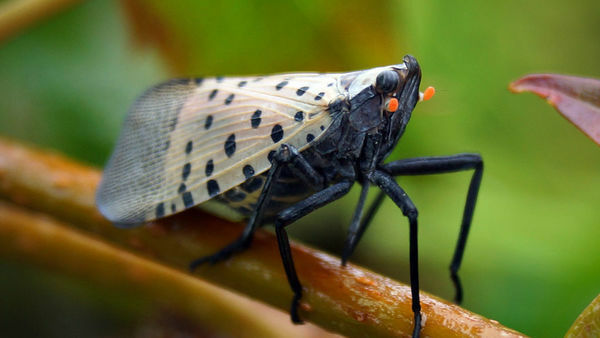 In the case of the newer Chinese species, they buy plants collected in the wild and immediately resell them to the public without propagating, evaluating their performance, and ensuring proper identification. Being patient about propagating epimediums will help preserve wild populations and will ensure quality plants. As more gardeners fall in love with epimediums, as I have, they are destined to become garden staples. 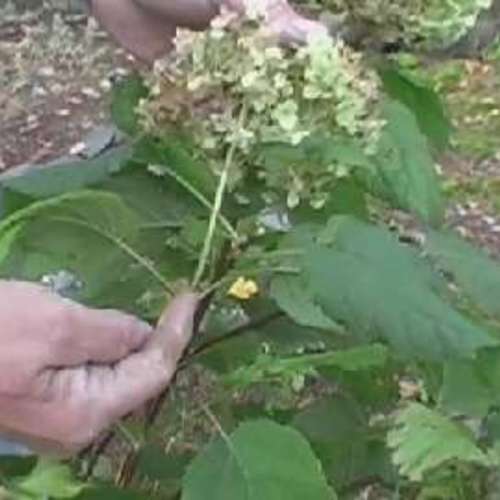 The author’s guide, Ke-hua Mou, prepares an epimedium for photographing. 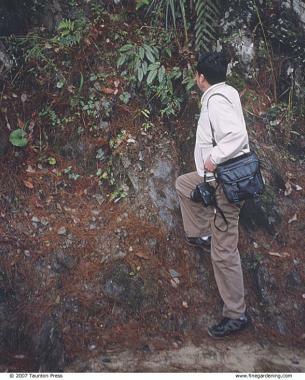 On a plant hunting trip in Nanchuan, Sichuan Province, China, the author spots his first epimediums. They are either a rare yellow flowered form of E. acuminatum (not available in cultivation) or perhaps a species that has not yet been described by science. At Cobblewood, my garden in Massachusetts, the goal is to gather, grow, and preserve a sampling of the genetic diversity within the genus Epimedium. I work with groups like NACPEC (the North American China Plant Exploration Consortium, a group that fosters academic relations and the exchange of genetic material between North American and Chinese botanic gardens) and qualified individuals to responsibly collect epimediums and bring them into cultivation. 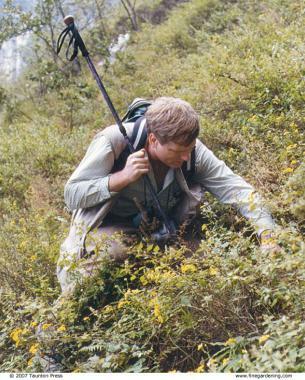 I have traveled to China several times as well as to Japan and South Korea to study epimediums in their native habitat and to obtain living plants and herbarium samples for research in the U.S. I keep detailed documentation records, including individual accession numbers which bear the abbreviation Cc. (Cobblewood collection). 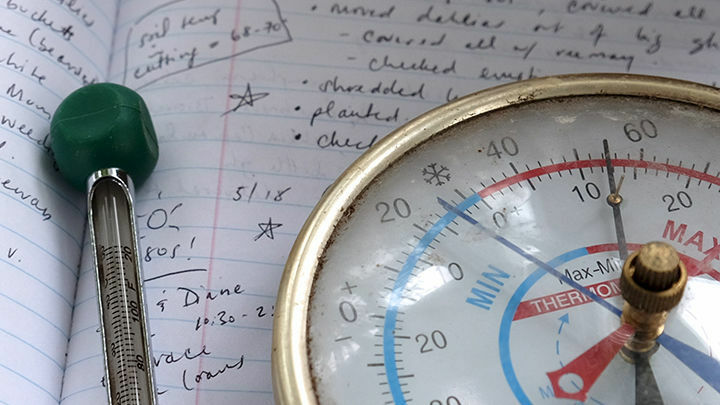 It can take three to five years of propagating before I have enough plants to sell through Garden Vision, my nursery, and from 10 to 20 years until a plant is available in the general wholesale trade. 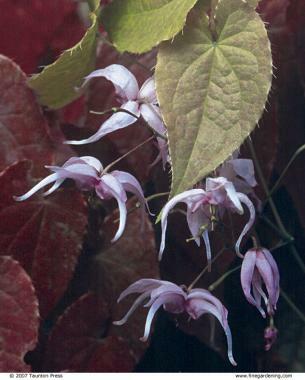 The vast mountain ranges of central China have proven rich in undiscovered epimedium species.Many of the species discovered in the last 25 years have great ornamental potential. On a recent month-long joint expedition with the Sichuan Research Institute of Forestry, we discovered as many as seven species that are possibly new to science, broadening the diversity within the genus. How many more new species await discovery? This is the question that keeps me going back for more. 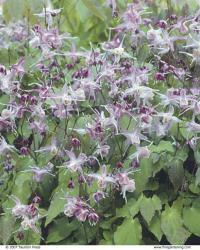 • Epimediums are perennials that are tolerant of a wide range of soils. 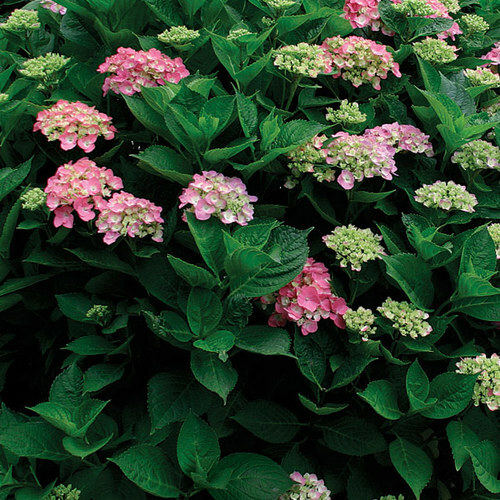 • Hardy from USDA Hardiness Zones 3 to 9, they prefer shade or part sun. Avoid direct sun in hot climates. 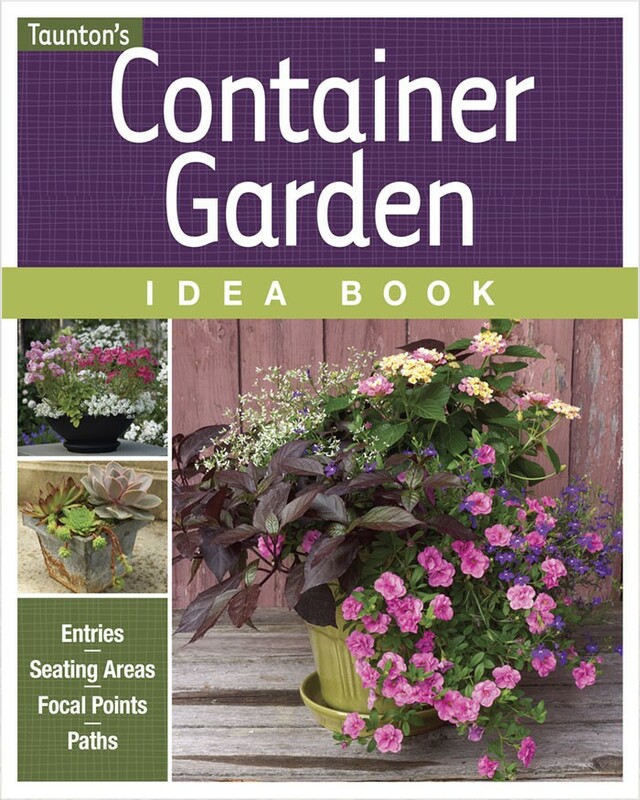 • Keep new plants moist but not wet, especially through their first summer. 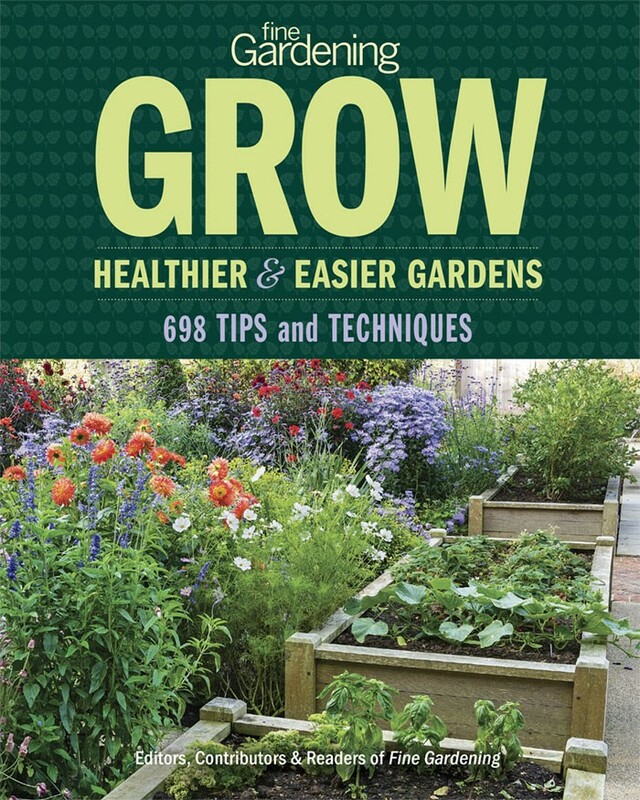 • When planting, do not place the crown of the plant more than 1/2 inch deeper than the soil surface. 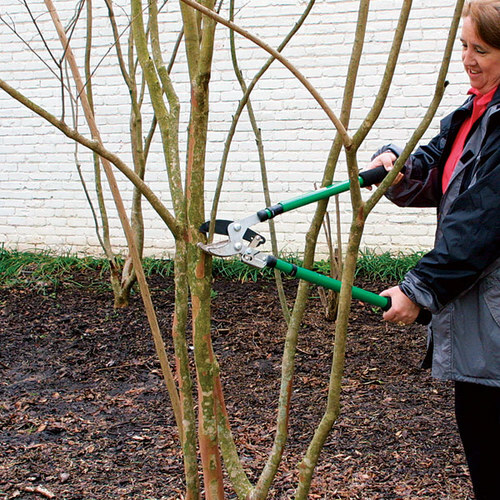 • Emerging stems are susceptible to late spring freezes, though most species hold flower stems in reserve. Slugs and black vine weevils can be a nuisance. Plants showing foliar viruses should be discarded. Many epimediums have distinguishing leaf shapes. While the emerging stems and leaves can be a striking maroon in the spring, some epimediums will even color up again in the fall. 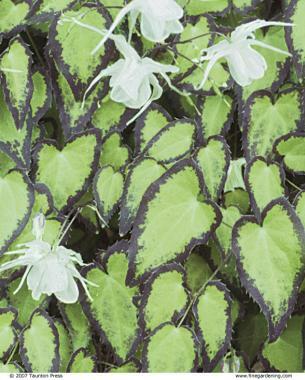 The most highly recommended plants for colorful spring foliage are Epimedium x versicolor ‘Versicolor’ and ‘Cupreum’ (Zones 4 to 8). 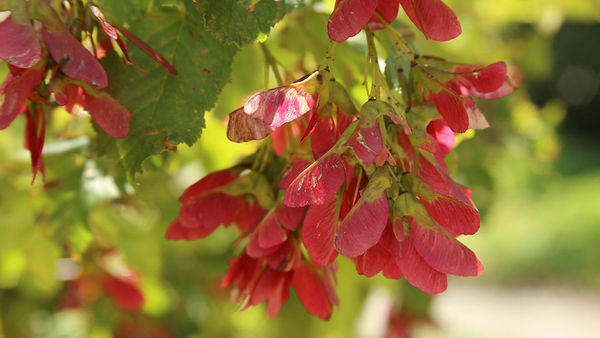 The young spring foliage is a vibrant, deep rose-red, broken by a pattern of green veins. 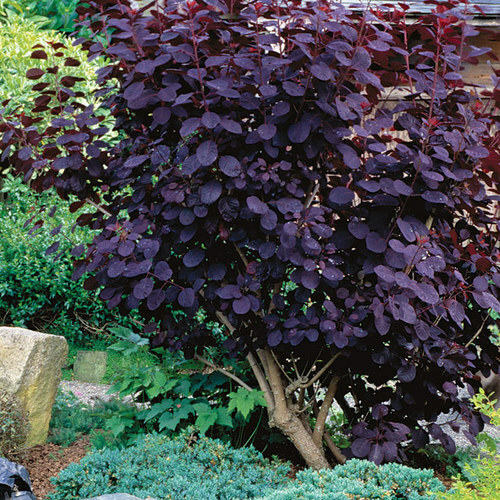 With frost, summer-green leaves slowly turn a dark brownish purple. 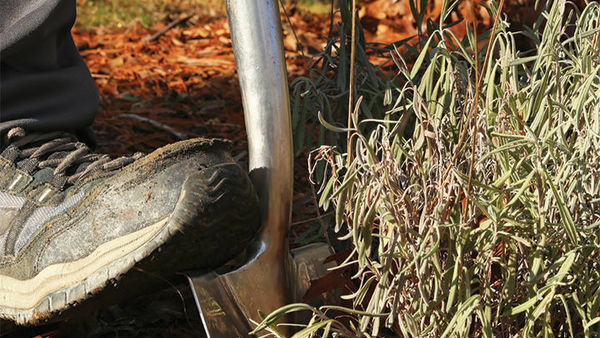 In the South, these cultivars will remain evergreen. In the North, they are deciduous. 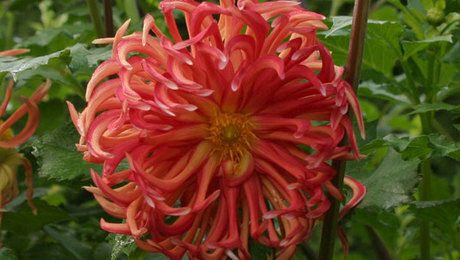 Dense heads of medium-size flowers open to a beautiful, rich salmon, which pales as they age. Epimedium x perralchicum ‘Frohnleiten’ (Zones 5 to 8) is an excellent evergreen groundcover, spreading 6 to 8 inches per year at only 6 to 10 inches tall. Spring foliage is mottled rose-red, with bright-green veins. The small bright-yellow flowers are reminiscent of a Verbascum, with large, showy, yellow inner sepals surrounding tiny gold and red petals. 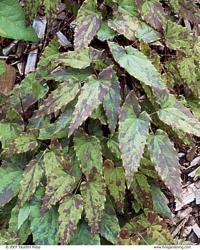 An epimedium with narrow, arrow-shaped leaflets that are heavily mottled with burgundy-red in spring is Epimedium x ‘Kaguyahime’ (Zones 5 to 8). Sprays of sprightly, rose-pink sepaled flowers with short, curved dark-purple spurs complement the dramatic foliage. 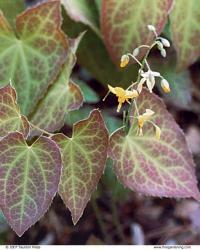 My favorite for a spring foliage show is the deciduous, clump-forming Epimedium grandiflorum var. higoense ‘Bandit’ (Zones 4 to 8). 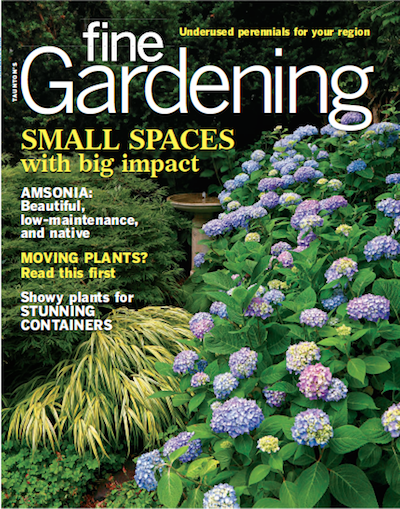 These ground-hugging plants, each under 6 inches tall in bloom, produce masses of large white flowers in spring above numerous small leaflets, each edged with a wide band of dark purple. Once the flowers have gone by, a second flush (and sometimes a third) of larger leaflets grows to 12 to 15 inches tall, each leaflet sporting an even wider dark-purple border. It is said to tolerate more alkaline soil than do the typical species. Collected by the U.S. National Arboretum near the Black Sea in the former Soviet Republic of Georgia, Epimedium pinnatum ssp. colchicum ‘Thunderbolt’ (Zones 5 to 8) bears foliage that slowly darkens in mid-autumn from deep green to blackish purple beneath a pattern of green veins. 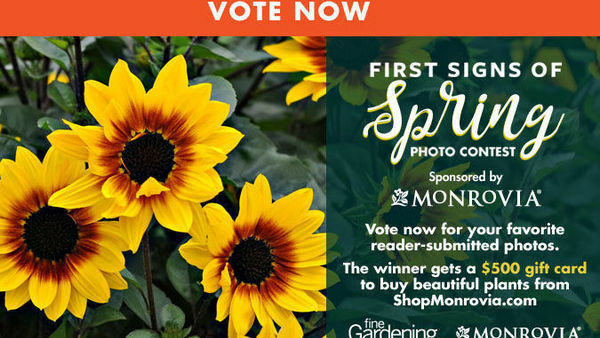 Photo/Illustration: Joseph G. Strauch, Jr.
Sprays of diminutive flowers in a wide range of colors and shapes hang above the foliage of epimediums. 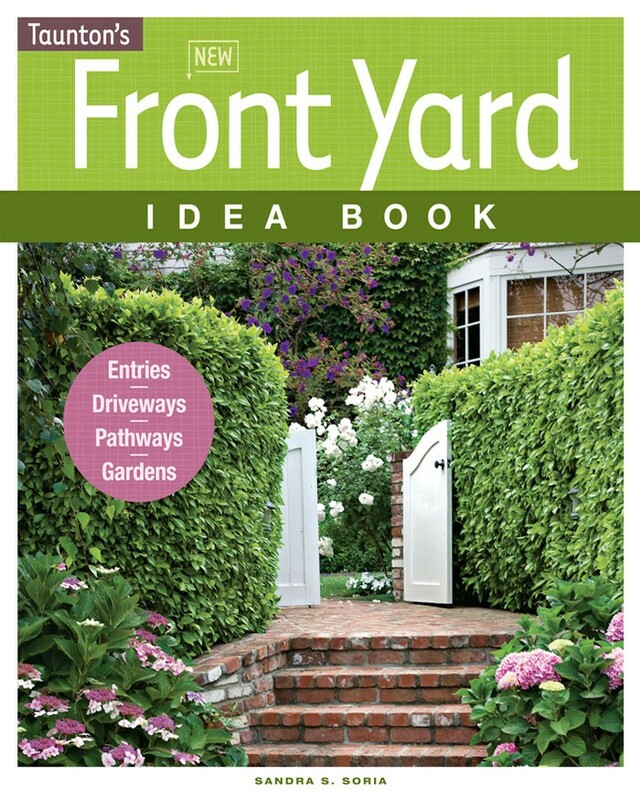 Plants typically bloom during April in Zones 7 and 8 and in May into early June in Zones 5 and 6. 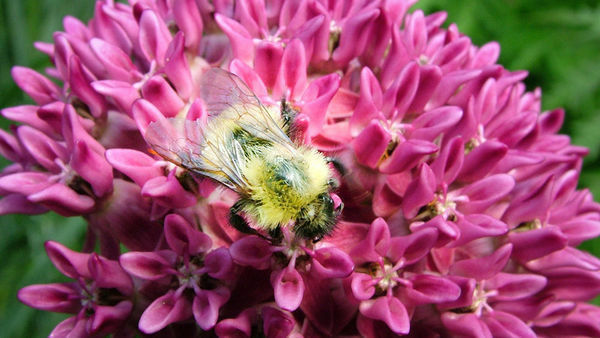 Some species may rebloom in late summer or fall. 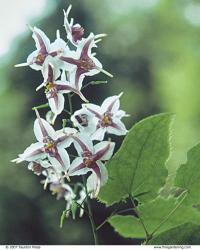 Native to Japan, Epimedium grandiflorum (Zones 4 to 8) is a clump-forming epimedium that it is entirely deciduous when grown north of Zone 7. Of the 25 or more E. grandiflorum cultivars now available in the U.S., my favorites include ‘Rose Queen’ (synonyms are ‘Yubae’ and ‘Crimson Beauty’), with deep-crimson-red flowers and red-tinged new foliage. ‘Tama No Genpei’ (sold as ‘Rose Queen’ in the U.K. for a time) has lavender inner sepals with white spurs. ‘Lilafee’ (Lilac Fairy) produces more delicate, violet-lavender flowers with chocolate-purple tones to the new foliage. 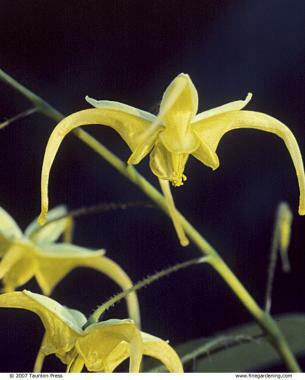 One of the many large-flowered species recently discovered in China, Epimedium epsteinii (Zones 5 to 8) is an excellent groundcover, spreading 6 to 8 inches per year. It has beautiful, glossy dark-green leaflets, and produces 10 to 30 showy flowers per stem, with wide white inner sepals and contrasting plum-purple spurs. Epimedium davidii (Zones 5 to 9) is a clump-forming species with small leaflets that create a low mound 6 to 8 inches high. 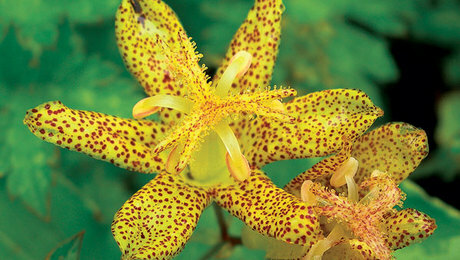 The airy flower sprays, which extend to 12 to 18 inches tall, hold the rich yellow flowers well above the foliage. In cultivation, it tolerates a wide range of soil types, including very acid clay soil. With adequate moisture and fertility, E. davidii flowers sporadically throughout the growing season. 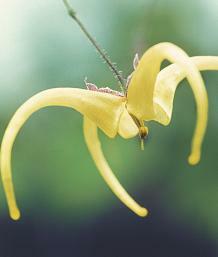 Epimedium franchetii produces large, delicate, sulphur-yellow flower spurs with light-green inner sepals (Zones 6 to 9). 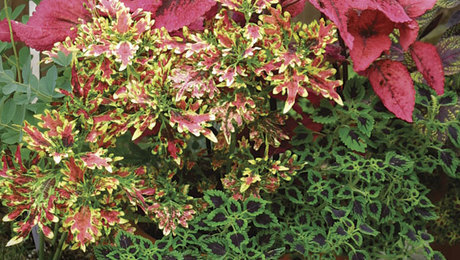 Show-stopping new foliage, with leaflets 5 inches long and 21/2 inches wide, emerges salmon-pink on some clones in the spring and later turns dark green. This species forms knee-high clumps. 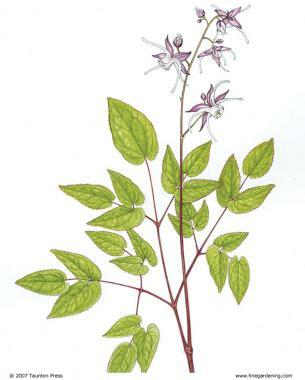 Epimedium brachyrrhizum (Zones 5 to 8) combines clumps of coarse, bold foliage borne close to the ground with large, pale- to deep-rose-pink flowers with long inner sepals. 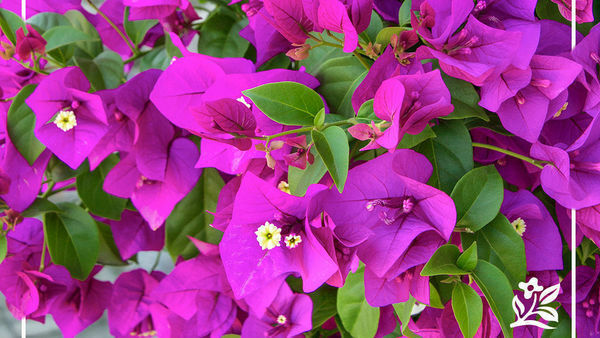 Young leaves often remain pink to rose-purple for a month during spring. The colorful cultivar ‘Karen’, which I have named in honor of my wife, produces a stunning display of deep-rose-pink flowers above rich rose-purple leaves in spring.